In March 2015, after 10 successful years owning and operating Brakes Plus Frankston, Michael and Amanda decided not to renew the Brakes Plus franchise and instead relocated their business only 1km up the road to a larger facility at 15 Wells Rd Seaford. The new facility has allowed them to increase their capacity to provide the local community with high quality vehicle repairs and maintenance without losing the personal attention their valued customers have come to expect. Stop&Go Brake and Service Centre is owned and operated by Michael and Amanda Bradbury. 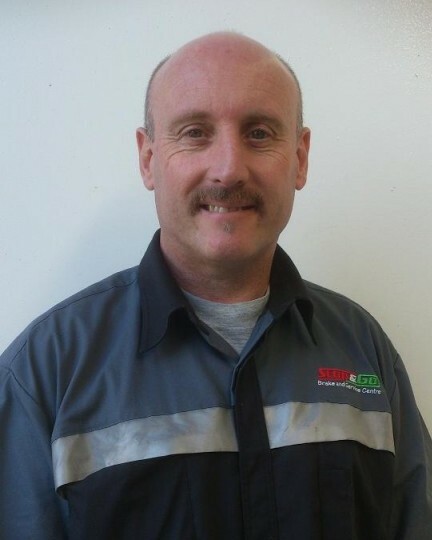 Michael has over 25 years experience in the automotive industry having previously worked for Holden Special Vehicles (HSV), Valvoline, and the VACC. Amanda has been the business' bookkeeper for over 10 years and has raised their two daughters Kirsten and Jordyn. Michael and Amanda successfully owned and operated Brakes Plus Frankston for over a decade. Ertan Shoukri is our Head Mechanic with over 20 years experience in Europe, Japan and Australia. Ertan has a wealth of experience with Audi, BMW, Mercedes, Peugeot, Renault, VW and Volvo as well as Honda, Mazda, Mitsubishi, Nissan and Toyota. David Cook has been qualified for over 30 years and has a broad experience of Ford, Holden, Honda and Hyundai vehicles.